World Top Speed Event – MAY Elvington 2016 | Racing | Eisenberg Racing - Max Your Life. 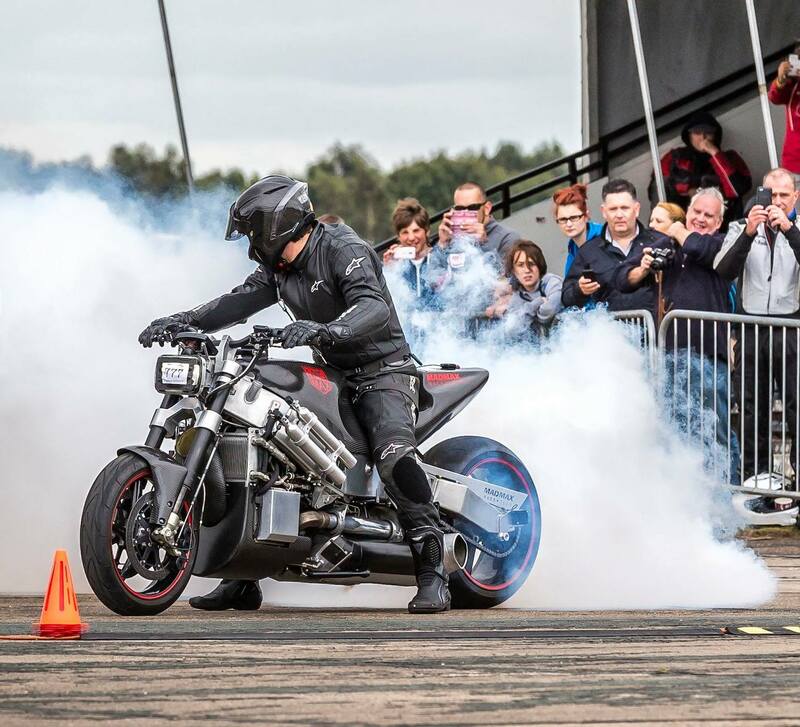 NEW World Record Attempt… this weekend… After months of work on the MADMAX turbine bike, we are ready for serious top speed action this weekend at Elvington Airfield (14-15th May 2016) – in Yorkshire for the Straightliners Top Speed event. The UK’s best of the best, most brave (male and female!) and most powerful bespoke motorbikes in the world (aspirated, turbo, nitrous and turbine!) will be present competing for outright top speeds over the mile under full ACU and UKTA rules. MADMAX Race team have will be racing the MADMAX turbine bike with a modified fairing for the first time, with a new Rolls Royce Turbine and some other tech stuff, we’ve installed. With over 550hp and a far more aerodynamic shape (fairing), the physics and theory suggest a far higher top speed. Hopefully the turbine, cross winds, weather, etc.. will all come together to make this very important May event our best ever for the crazy top speeds I know all you want to see.